You are Out of Stock on your website! Does that mean you are sold out for the season? We continuously ship to our dealers throughout the season starting in September. Once dealer orders are fulfilled, we allocate inventory to our website. At Spark R&D we believe in supporting your local snowboard shop! If an item says out of stock, please check with your local dealer to see if they have inventory on hand. Our dealer locator is here. We routinely release bindings and other new products online in late fall. Accessories and apparel are restocked on the webstore frequently. We can ship via USPS and UPS both domestically and internationally. Spark R&D warrants its products to be free of manufacturing defects for five years from the date of purchase as validated by a copy of your original sales receipt. Problems resulting from impact, abuse, misuse, neglect, or modifications made outside of our factory and normal wear and tear are not covered. If your product has a valid warranty issue we will repair or replace the product free of charge. In the event that an exact replacement (model, size, and/or color) is no longer available we will replace your product with one of comparable performance, size and value. For issues relating to warranty please contact us via our online warranty form. Can I submit my idea for a new product? Spark R&D does not accept or consider unsolicited product ideas. Please do not submit any unsolicited ideas, artwork or other works (“submissions”) in any form to Spark R&D. The sole purpose of this policy is to avoid potential future disputes when our products might seem similar to ideas submitted to Spark R&D. If you do submit your ideas, despite our request not to do so, any submissions will become the property of Spark R&D. None of the submissions shall be subject to any obligation of review, confidentiality, or compensation. What’s the difference between Tesla and T1 technology? Tesla bindings (Magneto, AfterBurner, and two-wire Burton Hitchhikers) utilize our side-lock touring bracket with integrated crampon mounts, our snap ramp system, and two climbing wires built into the baseplate. These bindings have been discontinued. Tesla T1 bindings (Arc, Surge, and T1 Burton Hitchhikers) have all of the above, but instead have just a single climbing wire built into the baseplate that utilizs a two-position heel rest. They are also built with our Rip 'N' Flip Highbacks featuring tool free forward lean adjusters with a range of -13° to +22°. What’s the difference between the Arc and Surge? Both feature the Tesla T1 binding system. The Arc is lighter weight with medium flex straps and highbacks for long tours, epic overnighters, trees and steeps. The baseplate is CNC machined with maximum cutouts to shave weight yet maintain strength and performance. The Surge is our stiffer binding model and is preferred by our bigger, more aggressive riders. Solid baseplate design, stiffer Rip ‘N’ Flip highbacks, more supportive ankle straps combine to give riders greater control in demanding terrain. What’s the difference between standard and Pro bindings? Both feature the Tesla T1 binding system and come in Arc and Surge models. Pro bindings simply use more premium materials than our standard bindings making them lighter and even more high performing. Carbon reinforced nylon highbacks are more responsive, lighter, and stiffer than our standard glass reinforced highbacks. Injection molding allows for more complex geometry and improved impact strength compared to other methods of carbon construction. Full Pebax® plastics in Pillow Line straps, ladders, and adjusters. Pebax is a premium material most often found in high-end ski boots as it provides consistent stiffness and improved toughness in cold temperatures. It’s also lighter by 20% than our standard material. Custom aluminum hardware. Weight savings add up by replacing stainless steel hardware with custom-made 7075-T6 aluminum hardware. Aluminum parts are 65% lighter than our standard stainless parts. Pivot Pins have been hollowed out to be 33% lighter than on standard bindings. What is the Burton Hitchhiker? Spark R&D has collaborated with Burton to produce a custom, splitboard specific binding called the Hitchhiker which we manufacture and assemble here in our shop. The Hitchhiker combines our T1 Arc baseplate with Burton-made straps and highbacks. The Hitchhiker is available exclusively through Burton distribution channels. More info can be found here. Is the Burton Hitchhiker compatible with Spark R&D accessories? Yes! The two-wire Hitchhiker is compatible with Spark R&D accessories, including the Sabertooth and Ibex Crampons, 2nd Board Kit, and Tesla Heel Lockers. In 16/17 the Hitchhiker was upgraded to the Tesla T1 system. T1 Hitchhikers are compatible with Spark R&D accessories, including Whammy Bars, Ibex Crampons, 2nd Board Kits, and T1 Step Lockers. How should the pin be installed on my Blaze, Blaze TR, or Burner bindings? Why don’t my pins fit in ride mode on my Blaze, Blaze TR, or Burner bindings? If you have a forward angle on your rear binding, you may not be able to secure the pin in ride mode due to interference with the heel rest. If this happens, just slide the pin in from the opposite side of the binding. You may need to re-adjust the leash length by loosening the toe buckle screw. Alternatively, you may want to attach the pin on the other side of the binding. Which crampons are compatible with my bindings? Is the Mr. Chomps crampon compatible with the Spark R&D LT Brackets? 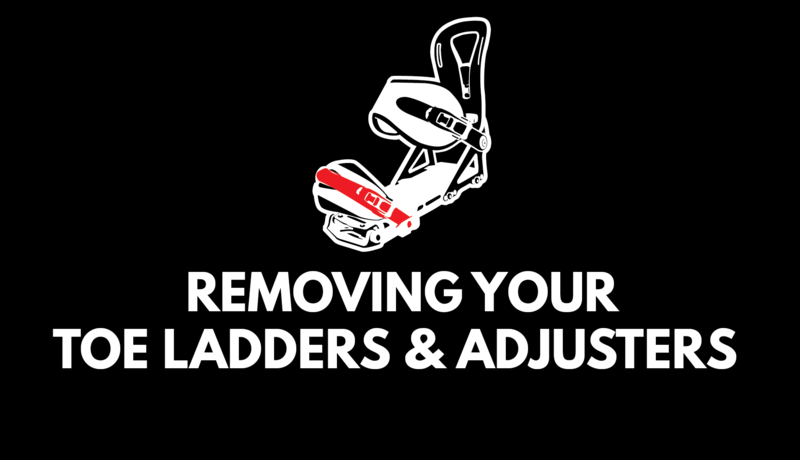 Yes, but you’ll need to swap out the long plastic bars at the installation point of the crampon with the "shorty bars" included in the LT Bracket Kit or your new Mr. Chomps crampons. Do I need to purchase any additional parts with my bindings? Tesla (Magneto & AfterBurner) and T1 (Arc & Surge) system bindings come with their own touring brackets and heel rests. The climbing wires for ascending uphill terrain are built right into the base of the bindings. You will need a set of Spark Pucks, Spark Canted Pucks , or Voile Pucks to attach your bindings to your factory splitboard. We also recommend getting the Ibex Crampons to help get you up steep or icy terrain. If you are using Spark R&D pin bindings – Blaze, Burner, Fuse, or Ignition – on a factory made splitboard you need the LT Brackets, Pin Binding Dual Height Wires, and Spark Pucks. Our new Blaze TR bindings come with LT Brackets and Voile Dual Height Climbing Heels, so all you'll need are Spark Pucks for those! Which pucks are my bindings compatible with? All Spark R&D bindings are compatible with Spark Pucks, Spark Canted Pucks, Voile Pucks (Regular or Canted) and Burton Channel Pucks, as well as Spark Solid Board Pucks and Spark Solid Board Canted Pucks mounting plates. Note: The use of Spark bindings on any other manufacturer’s puck system is not recommended and may void your warranty. Why don’t my bindings slide on my new pucks easily? If you are having a hard time sliding your bindings onto Voile Pucks check to make sure that the rubber gaskets are installed underneath your pucks. If not, install the gaskets right now! Spark Pucks don’t require a rubber gasket. If your pucks are brand new, the fit might feel tight but will break in after just a couple of times changing over. If it feels like your bindings are jamming, check your puck alignment and make adjustments as necessary. This Board Setup page may help with fine tuning. There is also a strip of sandpaper included with your bindings that can be used to sand the puck in order to fine tune the fit. Yes! Check out the Spare Parts page. If you can’t find what you’re looking for contact our warranty department and we’ll get you squared away. Should I store my skins in the oven when I'm not using them? No. This will ruin your skins. Store your skins in a cool, dry place. Use skin savers if you have them. Why would I want to hike up a mountain and then slide back down? My bindings hang off my heel edge, what should I do? If you have Voile pucks check your puck installation and make sure the Inline Disc (One Slot) is on the heel side of your board and the Parallel Disc (Two Slot) is on the toe side. For stance angles between roughly -12° and 12° the “A” on the Inline Disc should point toward the board centerline. For steeper angles, the “B” should point toward the board centerline. This Board Setup page has suggestions for getting your board and bindings just right. If you have Spark Pucks simply loosen the puck screws and use your guide or baseplate to adjust your position accordingly. There is a setup and user guide in the specs section of the Spark Pucks page. Where do I find spare hardware or screws? We recommend servicing your bindings regularly by tightening all screws and checking for any worn parts. If you require replacement screws check out our Binding Hardware Kit or a Backcountry Kit. For additional spare parts see our Spare Parts store. If you need specs for individual screws, please email us at sales@sparkrandd.com. How do I remove the toe-strap adjuster from my baseplate? Start by moving the adjuster or ladder to the forward most position. Insert a 3/16 head flathead screwdriver in the gap between the adjuster/ladder and the baseplate. Simultaneously twist the screw driver and rotate the adjuster/ladder to the back position while pushing down on the adjuster/ladder to pop it up and out. Check out the video below for a visual demonstration. How do I prevent my climbing wires from sticking? A small dab of lubricant is added to the friction point between the climbing wires and baseplate during assembly. If you’re experiencing too much resistance when engaging your climbing wires you can re-lubricate the friction point with silicone, lithium grease, or any number of other lubricants. A dab of chap-stick also works in a pinch! It is the future of Splitboard training.